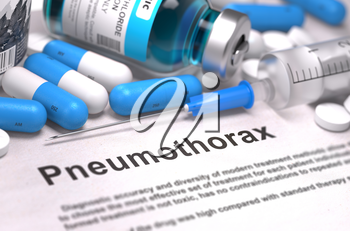 Diagnosis - Pneumothorax. Medical Concept with Blue Pills, Injections and Syringe. Selective Focus. Blurred Background. 3D Render.